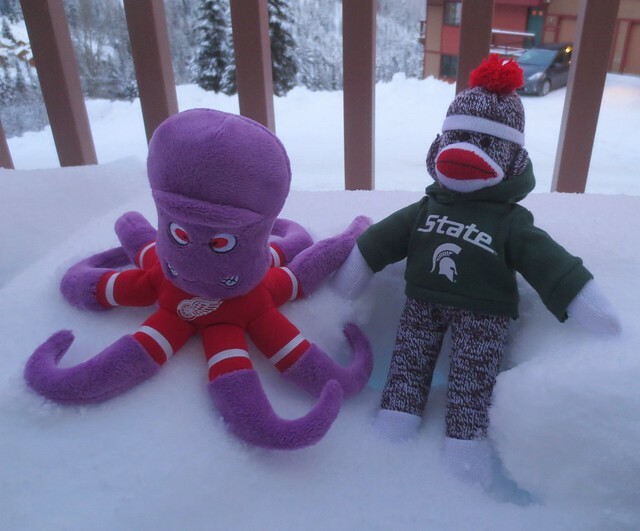 Today Stanley and Sparty Monkey got to play in the snow. Well, sit in the snow. More snow is in the forecast, so there was no point in shoveling yet. I don’t think they’ll be good at shoveling anyway.